Healthcare professionals in the clinical setting are the link between warming blankets and desired patient outcomes. This article presents two events involving patient injury and the use of forced air warming devices. 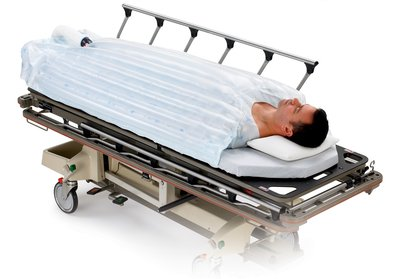 Warming blankets are commonly used medical devices for rewarming patients exposed to conditions causing hypothermia. These devices are used in perioperative and critical care units to maintain normal body temperature or treat hypothermia. A forced air warming device uses heated air to warm patients through convection. This warming system consists of 1) heater, 2) disposable blanket, and 3) hose. The hose is designed to deliver heated air from the thermostatically controlled heater to the blanket. The blanket distributes warmed air uniformly across skin surfaces and also lowers the temperature of the heated air. Complications of forced air warming devices have been reported when a blanket is not attached to the hose. 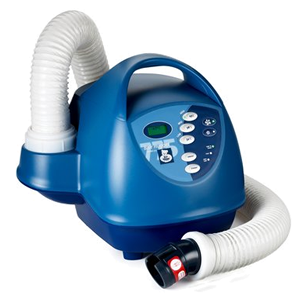 This practice allows the warm air to blow directly onto the patient and is referred to as “free-hosing” in the clinical setting. The Food and Drug Administration (FDA) monitors products that have been approved for marketing. Within the FDA, the Center for Devices and Radiological Health (CDRH), receives post-market adverse event reports submitted by manufacturers, user facilities, healthcare professionals, and consumers involving death, serious injury, and product malfunctions. These reports provide information about newly emerging or recurring problems associated with medical device use. The FDA analyzes the reports to determine the safety impact on the public health and makes recommendations to manufacturers, healthcare professionals, and consumers. The following two reported events describe serious injuries that have occurred due to the practice of free hosing.